Versace creates a distinct timepiece with a fashion sense at its heart with the Palazzo Empire series. 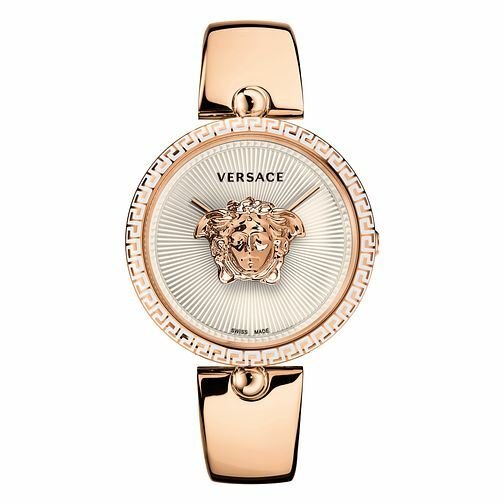 Featuring a rose gold tone bracelet with a greek-key patterned bezel, the Versace emblem in the centre of the dial showcases a unique focal point and a watch that is not afraid to differentiate itself from the rest. This is a stunning design that will surely turn heads. Versace watches carry a traditional and innovative creative spirit that has become a signature of their designs.